Luis Javier was baptized at Presbyterian Church, Cavite City. He met a church worker from Church of Christ Disciples who debated with him asserting that the “Disciples” is the true church. Luis Javier lost in this debate resulting to his joining the Church of Christ Disciples, Cavite City. Years later he became a Pastor and preached at Cavite City, Noveleta and Dasmariñas. He decided to move to Dasmariñas, Cavite to concentrate on his evangelistic work together with his wife and children Juanito, Resurrecion and Gloria. The first fruit of his preaching in Dasmariñas was the family of Damaso Guevarra with his wife Monica Reyes and children Cleotilde and Justino. The house of Damaso Guevarra served as their place of worship. Pastor Amando Litao of Tondo, Manila came to Dasmariñas to convince Pastor Luis Javier to help him preach in Sabang and Malagasang. But instead of preaching in Sabang, Ptr. Litao organized the “Veteranos De Revolucionarios” and “Hiyas de Revolucionarios.” This event prompted Ptr. Luis Javier to preach in Sabang and Malagasang. Every night Pastor Luis Javier conducted evangelistic meetings in Sabang. Monica Reyes-Guevarra and daughter Cleotilde were always with him to help. 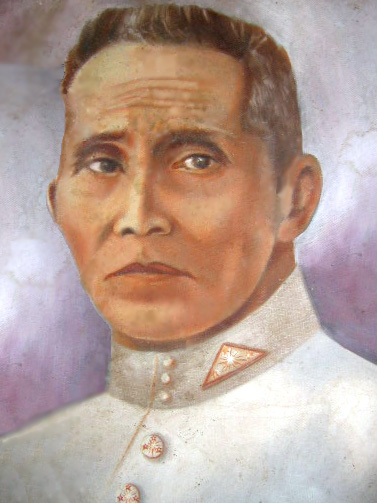 The first to be evangelized, hence becoming a member of the Disciples church were Damaso “Asong” Tirona and his two children Benjamin Tirona and Julia Tirona-Hayag(it was several years after when his other son Sixto joined) and his niece, Juliana Tirona-Sapida and daughter Trinidad Sapida-Medina (it was several years after when her husband, Benigno “Ignoy”, and sons Bonifacio, Emiliano, Tomas and Julian, joined the Church). The first worship and Bible study was held in the last week of July 1926 at the house of Damaso Tirona. A lively worship and fellowship were experienced under the leadership of Damaso “Asong” Tirona and Juliana Tirona-Sapida. Other active members were Antonio Sayoto, Damian Remulla, Luis Taganas, Pedro Mendoza, Quirino Villanueva, Eleuterio Magsino and Fidel Familiar. In the women’s group were Gregoria Geda-Remulla, Icang Legaspi, Emilia Cantada Tapawan, Basilia “Ilyang” Legaspi, Barbara Sapida-Lapidario and Pilar Tapawan who took charge of the elements for the weekly Celebration of the Lord’s Supper and the cleaning of the Church, inside and out. The Worship services and Bible studies were held either at Damaso Tirona residence or at Juliana Tirona-Sapida’s place (where Christian Joann School is now located. The hospitality of Damaso Tirona in caring for the Church Pastors and Missionaries by letting them stay in his residence and attending to their needs was carried on by his son Benjamin and daughter-in-law Concepcion. In 1928, a small church was built at the property of Damaso Tirona with a small altar the stones of which were taken from the river. Small and narrow benches were used for sitting. By 1933, the theatrical gifts of some church members began to bloom. A drama depicting Christ’s birth was shown with Andres Cadatal playing Joseph, Trinidad Sapida-Medina as Mary and Dominador “Adong” Fauni as one of the scribes. Tinidad Sapida-Medina assisted Sis. “Kapatid” Orang Litao in the Children Sunday School. In the last years of 1930 the church was not spared from the chaos and troubles of World War II. Despite all these, the church continued its mission of preaching the Gospel. Through it all, they went on with more faith in Jesus. In 1938, Pastor Juan Baronia baptized many children of adult members of the church. Julia Tirona-Hayag, Trinidad Sapida-Medina as Sunday School Teachers continued to teach with Nene Sapida-Frani, Guillerma Remulla-Reyes, Gavina “Binang” Lapidario- Olaes, Ester Remulla-Torre, Nonilon Sapida and Manuel Sapida Sr. as learners. World War II raids prevented church members from going to church for Sunday worship. Shelters were built for hiding during raids with men guiding the children first followed by the women. Dionisia Cadatal, Bining Mendoza-Mendez, and Florentina “Puring” Almonte Calungin and her children joined the “Disciples” and became members of this church.